Scriposale performs special Scripophily auctions from time to time. The auctions may have thematic priorities or follow certain trends. Quite often collectors further will find stocks and bonds being not often or even never offered in the market yet. Our next auction will take place at 16 July 2016 in 75057 Kürnbach, Germany. Specialities from Southern Germany will be offered as well as numerous interesting items issued in German Marks (DM). 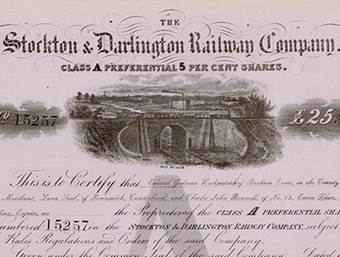 The offer will be completed by a good selection of US railroad shares and extremely decorative papers worldwide. Please, mark the date already now. We would be very happy about your participation, especially live in the auction room. Scriposale is a marketplace for Scripophily collectors. Primarily old stocks and bonds can be bought here. Anyway, even if you may be interested in selling stocks and bonds Scriposale would be your competent and reliable partner. Scriposale is a brand name of Scripovest AG and was created in 2013. In 2014 the website was relaunched. 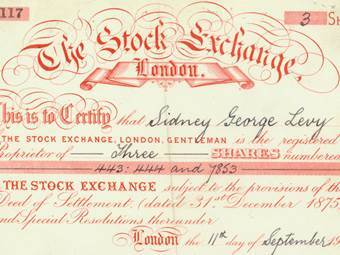 Since then we are doing everything we can to fascinate people for old stocks and bonds to the same extent as we are. Scripovest AG is a worldwide operating Scripophily trading company and has many years of market experience. You are in good hands with us!